While my crack carpenter was redoing one of the walls to Rodney’s new stall, I had to keep Mathilda out of the barn and occupied. I forgot how tiring grazing can be. It’s unfathomable. Stand here. Hold horse. Read book. What is hard about that? It’s exhausting. Since Rodney was also out, I didn’t want to get deeply engrossed in Strange Stones: Dispatches from East and West by Peter Hessler [Harper 2013]. Since Hessler is in the running to be my new writing model, I both read the essays and attempt to figure out how he did it. 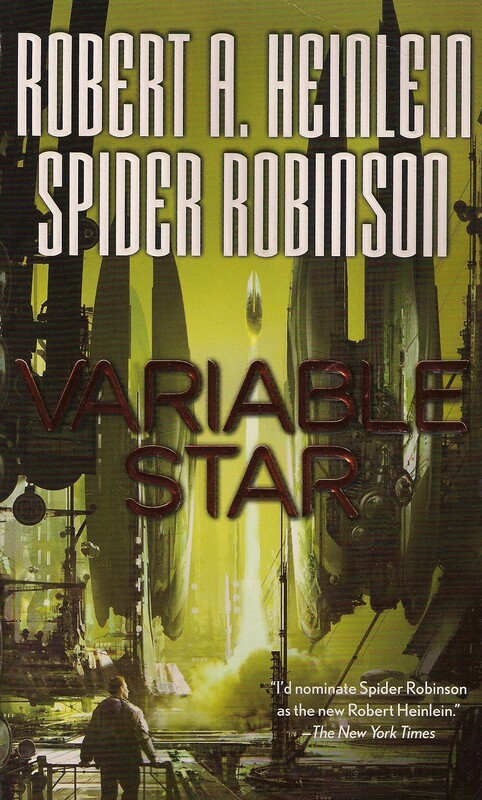 For a grazing book, I switched to Variable Star by Robert Heinlein and Spider Robinson [Tor 2006]. The plot points seemed familiar as they passed by. I couldn’t tell if I had read the book before and forgotten it, or have just read so much Heinlein that I can predict what is going to happen.